There are many ways to become involved in the Charity whether by providing donations (regular or as a one-off) or by giving valuable time or resources. 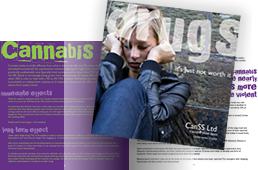 Families who have been affected by the problems associated with a family member taking cannabis often feel very isolated and alone, not knowing where to turn for help and advice. Sometimes contact with other families going through the same thing can really help. There are others who are keen to help and join an organization aimed almost uniquely at prevention because of their worries about the current harm reduction education and the calls for legalisation. Would you like to help families whose lives have been affected by cannabis use? Can you offer your expertise? Do you have skills and some time available that could help us? If you are interested in what we do and would like to support our work, find out more ways to get involved.